an immoral embarrassment on the nation. "Helping Families in Mental Health Crisis Act of 2013" is the most important mental health care bill pending before Congress. It was introduced by Rep. Murphy on December 12, 2013. The bill provides, among other things, inpatient psychiatric treatment using Medicaid. The bill presently has 31 co-sponsors, including Rep. Eddie Johnson (D-TX). Rep. Johnson introduced H.R.619 in 2009 to resume Medicaid for psychiatric inpatients, but her bill received zero attention from mainstream media, and this advocate's attempts to publish information about it were censored. Of the 31 congresspersons who co-sponsored H.R.3717 so far, only 3 are Democrats. I would like an explanation. The current system of leaving mental illness untreated until a disaster happens is unfair to acute psychiatric patients and to taxpayers. H.R.3717 offers to help to families in mental health crisis by providing for inpatient and outpatient psychiatric treatment with Medicaid funding, crisis intervention training for police officers, and assisted outpatient treatment programs, which proved to reduce homelessness, prison, and hospitalization by up to 95% among program participants. It is time for representatives with prison investments, whether Democrats or Republicans, to stop withholding psychiatric care in order to keep mentally ill Americans trapped in the criminal justice system. That is over. Americans demand real help for acute mental patients, and the world is watching America to see if she will practice what she preaches about human rights or if she will continue to put mercenary interests of the wealthy prison investors above the needs of her sick citizens at a tremendous burden to taxpayers. The cost of the prison industrial complex is over $75 billion per year. Some advocates loudly protest provisions for enforced psychiatric treatment, but they are completely silent about enforced treatment to get mentally ill defendants trial-ready to face judges and juries for crimes that might not have happened if treatment had never been withheld. Do not be attentive to their protests for patients' rights. Mentally challenged people have an overriding right to treatment whether or not they have the wherewithal to request or willingly accept psychiatric care. Learn more about H.R.3717, and ask your congresspersons to co-sponsor this important health care bill that will help avoid crises for people with acute mental diseases, increase safety for them, their families and communities, and reduce homelessness and mass incarceration among America's most vulnerable citizens. 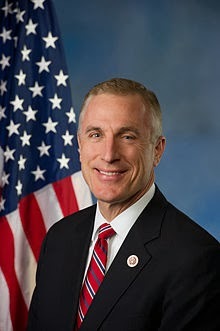 Thank you, Rep. Tim Murphy and co-sponsors, for your Assistance to the Incarcerated Mentally Ill and those at greater risk for incarceration or death-by-police due to a common, treatable health condition.